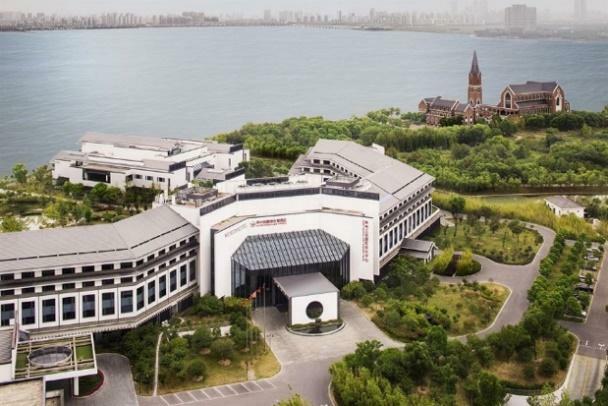 The Worldhotel Grand Dushulake Suzhou is a luxury Suzhou hotel located within the thriving new commercial, residential and entertainment center, the Suzhou Industrial Park. It takes less than 30 minutes by car (16 km) to reach most historical Suzhou gardens from the hotel. The hotel offers a huge array of meeting and conferencing facilities including banquet halls and exhibition spaces. Every room is equipped with high standard Audio/Visual devices and has access to wi-fi connection. Suzhou is a busy transportation hub, connected to most major cities by multiple airports train stations. Shanghai Pudong (PVG) is the busiest international hub of mainland China, ranking 22nd globally in terms of international traffic. As end of 2015, Pudong Airport hosted 100 airlines serving 210 destinations. Hongqiao International Airport is located in the western suburbs of Shanghai, it is about only 20 km from Nanjing Road, you will take about 25 minutes by taxi. In 2014, Hongqiao Airport handled 37,960,200 passengers, a growth of 21.3% over 2010, making it the 4th busiest airport in mainland China and the 21st busiest in the world. 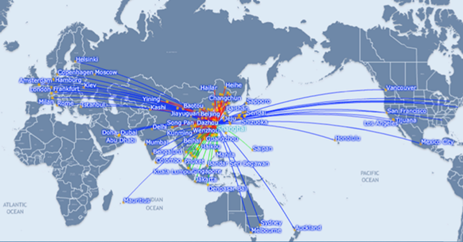 Shanghai is connected with most major cities in the world by multitude of airlines. Air China, the largest airline in China, provides direct flights or connections to many cities in Asia-Pacific, Europe, and America. More flight routes are provided by many other airlines. The easiest way to get to the conference site is via taxi. It takes about 200 RMB to get to the conference site from Hongqiao Airport, 500 RMB from Pudong Airport, and about 150 RMB from Shuofang Airport. You can also download Didi App (Chinese version of Uber) to pre-book a car. Transport buses run frequently from both Hongqiao (every half an hour, 50RMB) and Pudong Airport (every one hour, 80RMB) to the Suzhou Industrial Park. There are two railway stations in Suzhou: Suzhou Railway Station and Suzhou North Railway Station. It takes only 25 minutes to reach the Shanghai Railway Station on the fastest G-series trains and less than 2 hours to Nanjing. From Hongqiao Airport, it only takes 15 mins of walk to reach the Shanghai Hongqiao Railway Station. Trains run every 5 mins from Hongqiao Railway Station to Suzhou. Taxis, buses and shared bikes (Mobike, Ofo, Hellobike apps, 0.15 USD/ km) are easy to commute within the city. China has visa waiver agreements with only a few countries. No visa is required for ordinary passport holders from Singapore, Brunei and Japan to visit China for up to 15 days for business, sightseeing, visiting relatives and friends or transit. For travelers from most other countries, a visa is required for entering China. A visa can be obtained from a local Consulate of China without difficulty of document preparation and long waiting. For most attendees, it is easier to apply for a Tourist ("L") visa; an invitation letter is not required for obtaining a Tourist visa. ICMI 2019 is committed to providing an inclusive environment and we will do our best to accommodate requests for special assistance. Please contact our Local organization chair, Mengyue Wu (mengyuewu@sjtu.edu.cn), as soon as possible if you require special arrangements. How do I communicate accessibility needs to organizers?